Hwy 9 & Peninsula Rd. 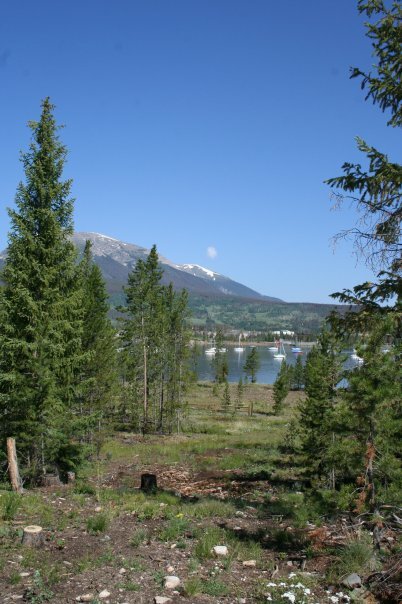 Mountainous terrain at 9,000 ft., with spotty woods, narrow fairways and one water hazard. 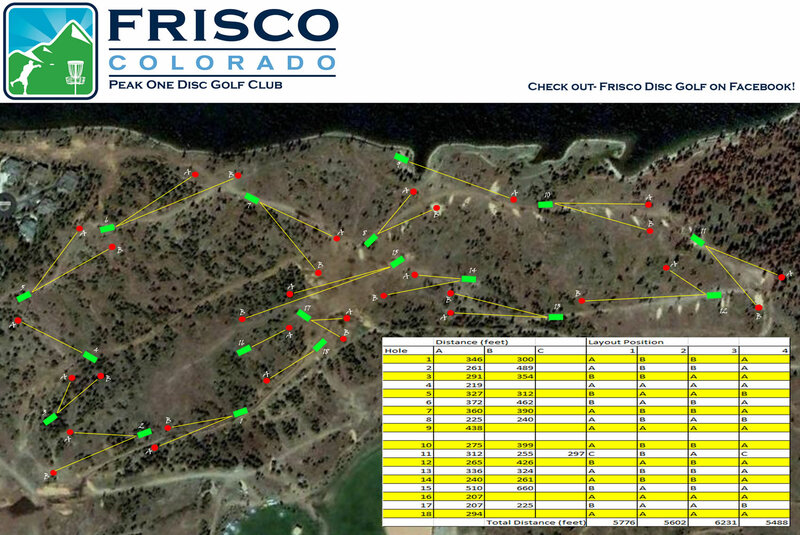 Holes 6-10 play next to beautiful Dillon Reservoir. I-70, exit at Frisco (exit 203), take Hwy 9 south to a left at Frisco Nordic Center. Go under the sign for the Frisco Peninsula Recreation Area and follow signs to disc golf. Walk along outfield fence and veer left to 1st tee. Solid course, fun to play. Beautiful views. Not a lot of elevation change to really mix it up, but there is enough variety to keep it interesting. Could use more signage to point to next tee and I'm not sure the tee box signs are always accurate. Not as strenuous to hike as other nearby courses so if you're looking for a more leisurely round, this is the one. Nice cource in beautiful landscape. Flat and relatively easy with short holes, but still fun to play. After being turned back by rain, snow, and dark, finally at long last on 6/4 got'er done. Fun course. remarkably flat, given the surroundings still some fun bits of elevation here and there, fun with the woods and some very long wide open tosses to make you feel better about the boge on 8. if you don't feel like losing your disc to Denver Water, the Res. is low enough (usually) in the spring. Closed in the Winter, for all I can tell protect cross country skiers from errant discs. Little bit of a trick to find the next tee box as you progress, but just keep going clockwise and chances are good you'll find it. Looking forward to playing Frisco again. Before the beetle kill decimated the trees this was the top Colorado course. Now, it is still fun, but not nearly as tight, secluded and challenging. However, it is still home to one of the only Par 4 holes I know of, a 686' bomber.